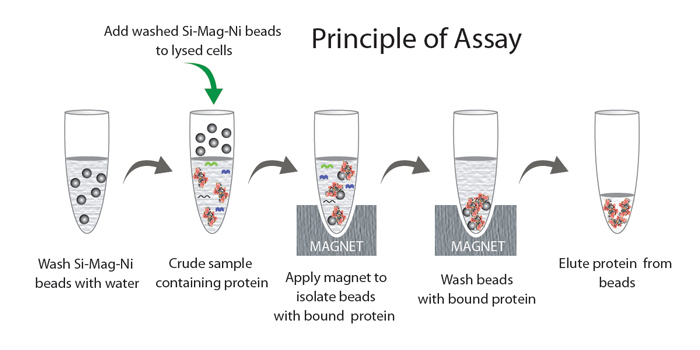 Si-IDA-Ni magnetic beads are designed for purification of histidine tag (His-tag) proteins purification. 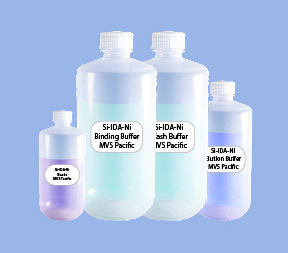 Unlike the conventional metal-chelated agarose or dextran pre-packed column these Si-IDA-Ni beads are made of newly-designed functional material with paramagnetic properties. Ni-IDA beads have much higher binding capacity than Ni-NTA beads and require a lower imidazole concentration. 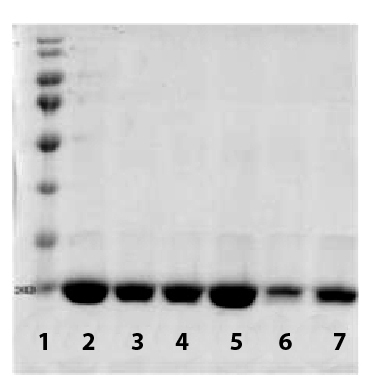 The separation and purification of the (6x) His tagged proteins from cell lysates is accomplished via magnetic field force. 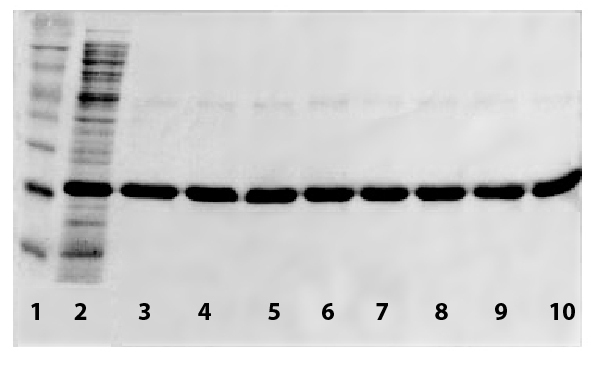 Through this simple, one-step purification procedure, high purity of both N- or C-terminal His-fusion proteins can be obtained. Si-IDA-Ni magnetic beads can be regenerated and reused multiple times (see below). The binding capacity of His-fusion protein is estimated to be 20 mg per 1.0 mL of suspended beads. The kit will work with a 96 well round bottom plates if a special magnetic frame is used. The kit can also be used with a variety of automatic protein extraction instruments and workstations.